For some people, wedding planning happens to coincide with a devastating life crisis. We listen to a bride tell her story of love, loss of her mother and grief during her wedding planning. Lots of couples are opting to have a friend or relative be their wedding officiant. You may have to draft the bulk of the script yourself, as a couple. What is a guest book? Is it necessary? Is it something our parents had at their wedding that we want too, or is it old fashioned and uncool? Listen to this short episode and find out! 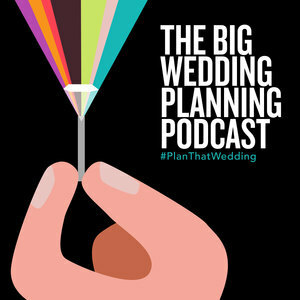 A listener with a 10K Budget that was shot down by a wedding planner / Michelle tells you all about a wedding she worked last weekend / Yoga and morning routines. We’re so stoked to have newlyweds on the podcast! You may remember Dre from our awesome ‘Groom Interrupted’ episode #40. It’s a smorgasbord of topics and we think you’re gonna love it! Sometimes your lovely hosts just need to catch up. Travel horror stories, anniversaries, first days of school, cool mom tips, and...wedding planner stuff. We are girlfriends, after all. So, we recorded this episode to just get back to basics, the two of us, the original duo. Convenient, inexpensive, hassle free rentals for your wedding. We are blown away by Rent My Wedding and we think you will be too! Wedding planning is not for the faint of heart. It’s WORK! But one things for sure. Once the wedding is over, you’ll feel differently. Maybe even a little sad.